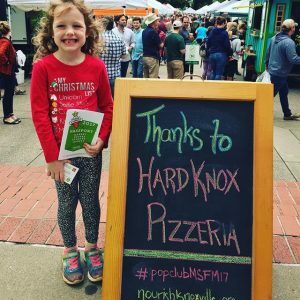 Home/Hard Knox Blog/Nourish Knoxville- PoP! 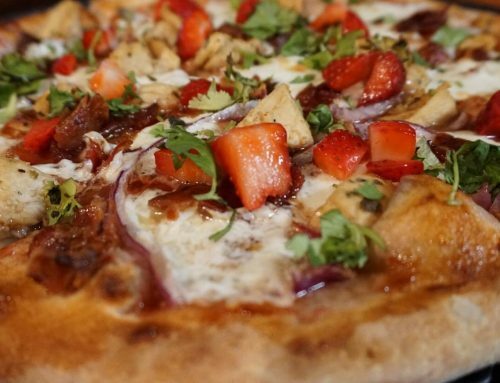 Being a part of the Knoxville community is one of the best parts about being a local pizzeria. This week we have the opportunity to highlight one of the special organizations Hard Knox is a part of! 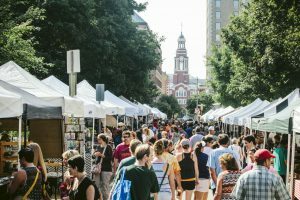 If you’re a Knoxville resident, you likely have spent a Wednesday or Saturday morning walking the streets of the local Market Square Farmers’ Market. For the past 6 years, Nourish Knoxville, a local nonprofit, has been hosting this farmers’ market, along with their Holiday Farmers’ Market and Winter Farmers’ Market. Essentially year round they work toward supporting local farmers and bringing the Knoxville community a unique experience. Each time, the markets have up to 100 different venders at a time! 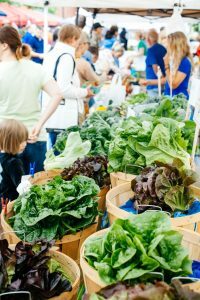 What you might not know about Nourish Knoxville is that not only do they put together these farmers’ markets, but they also have 4 separate programs within the markets. One of these programs is known as Power of Produce, or PoP for short. PoP is a program open to any child between the ages of 2 and 12. 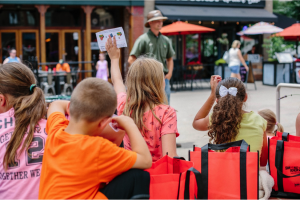 Based off of a national program, PoP generates educational activities for kids to participate in at the local farmers’ market. Not only does it provide the opportunity for education, but every kid that participates in PoP receives a $5.00 voucher to spend on fresh fruits and vegetables. 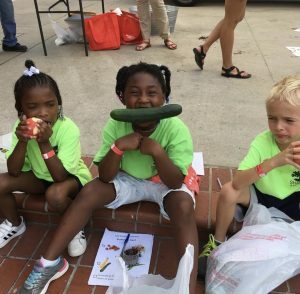 After seeing the success of the public PoP events, the Knox County Health Department came to Nourish Knoxville and pitched the idea of hosting field trips for groups of kids to come to the farmers’ market. Nourish Knoxville now hosts field trips for kids throughout the summer, primarily bringing in kids from underdeveloped communities. 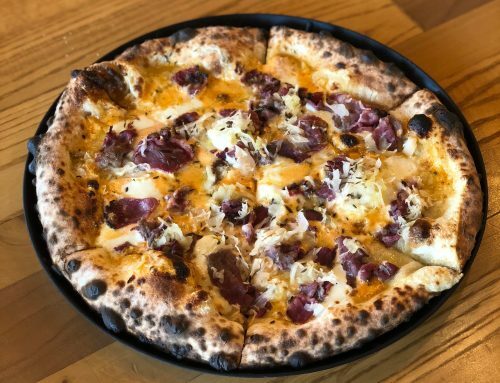 The intention behind PoP is to empower kids to make their own food choices while engaging in local food opportunities and farmers’ markets. It Is truly a win, win for everyone involved! The kids get fresh food and the local farmers make more money. 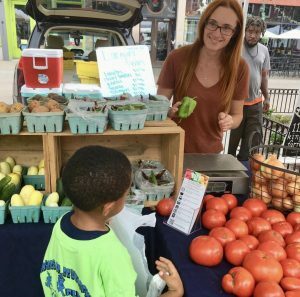 Nourish Knoxville enjoys making farmers’ markets more accessible, they love being able to promote local food in East Tennessee, and they find fulfillment in getting children excited about fresh food. 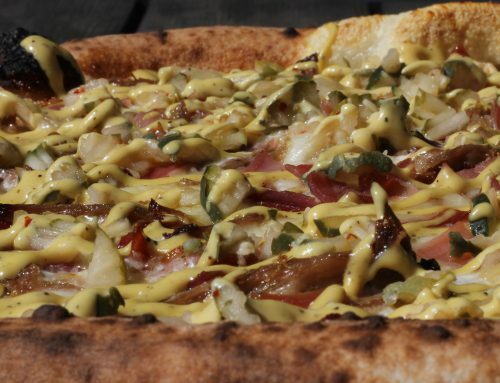 We couldn’t be more honored to be a part of this cause. 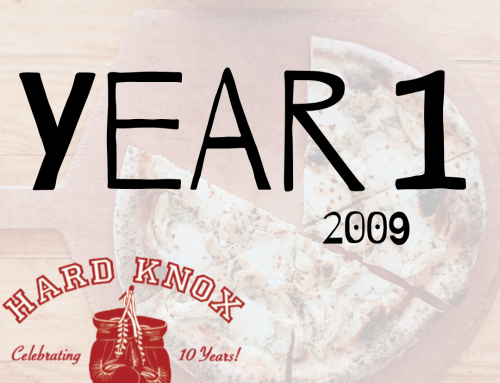 For the past two years, we at Hard Knox have been a proud sponsor of the PoP program. We love knowing that our money helps to promote this program, as well as provide the vouchers for the children to spend. Check out these sweet photos provided by Nourish Knoxville, Knox County Health Department, and Poynter Photo Co. from some of the PoP events!